Online messaging has made communication easier than ever, making it one of the best ways to drive traffic to your store. A report from Business Insider shows that the top four messaging apps have even more monthly active users than the top four social media sites. These apps are growing exponentially: in just a year, WhatsApp has grown from a local messaging app to a multi-billion user app, now with over 1.2 billion users from all over the globe. Whether it’s messaging apps, emails, or texting, messaging is definitely the way of the future. Equip yourself with the means to reach out to your audience and potential customers in the simplest way: just message them. Some major developments in the communication world have particularly been eCommerce oriented. This shows that companies understand the importance of messaging in creating significant customer interactions, and are creating new ways to promote their products. In the beginning of last year, Viber announced a feature that allows users to shop through an in-app catalogue by adding a shop icon in their user interface. The new feature will kick off with a selection of items from its home company, Rakuten.com, and eventually add new products from other retailers such as Macy’s. There are others that are already seller-friendly. For example, the cloud-based app Telegram is a treasure trove for marketers. Offering their services for free, they have various features including online ordering and product promotion, allowing partner companies to grow their business without spending money on marketing. Even eCommerce platforms are creating avenues for messaging. In recent years, the online giant, Alibaba, has been shifting its focus towards developing a mobile messaging app that allows customers to transact directly with SMEs. The app will be named DingTalk and will focus on bridging the gap between consumerism and corporate mobile messaging. These developments show that communication is at the forefront of eCommerce, and that using these platforms to expand customer reach and improve sales is bound to pay off in the long run. 1. Customer Acquisition with Messenger and WeChat. American Eagle Outfitters is a retailer of casual wear for a young demographic. Using Facebook Messenger, they were able to integrate a bot called Aerie that provided product suggestions through customer feedback. The best part about Aerie was that it didn’t feel like a robot. It spoke the same way its customers would by using emojis and engaging in modern slang to make it more relatable. But more importantly, American Eagle’s bot was more than just customer support. 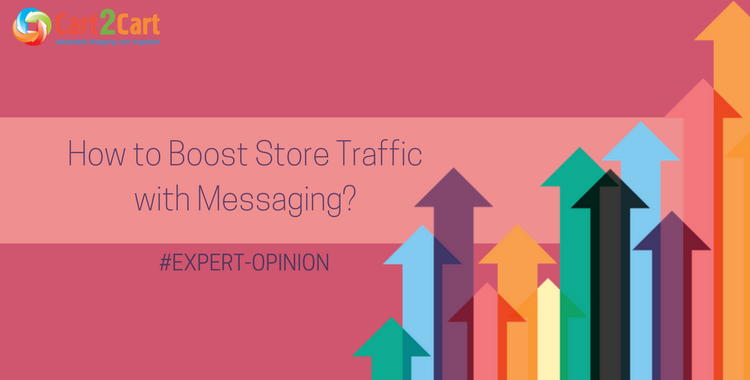 With over 4 million messages exchanged, it was able to provide a 25% click-through rate from Messenger to the store’s website, significantly increasing interest among old and new customers. That’s not all: the Italian luxury brand Givenchy recently held a campaign for 80 limited pieces of an exclusive bag. It sold out in 12 minutes and earned the company $173, 652. Their secret? An online influencer and his 1.2 million followers on WeChat. The online personality deemed Mr. Bags is popular for posting about luxury brands around the world. He’s been the go-to “voice” for people who want an expert’s opinion on all things luxury bag. So when the online personality took to his followers to promote Givenchy’s limited $2,170 bag, his followers were more than happy to follow his suggestions. By including a link to the store, Mr. Bags made it even easier for his followers to buy the bag on the spot. The leading messaging app in China, WeChat has evolved locally into an all-around app allowing payments and other transactions, making it the perfect platform for both foreign and local brands. 2. Reaching Thousands with Emails. It’s easy to write-off emails these days; as one of the foundations of the Internet, email can seem pretty old-fashioned. But there’s still plenty of successful marketing to be done with email campaigns. Why? Because emails still work, and the stats are there to prove it. According to a report by Smart Insights, the average successful email campaign across all industries averages out at around 15% to 16% open rate, with a click-through rate that averages out at 8% to 9%. While it might not seem like much, that’s still nearly one new customer on your site for every ten that you email. And if you send out ten thousand emails, that means you might be expecting a thousand clicks from a thousand new engaging followers. Email is far from the antiquity that some social media marketers believe it to be. If you use it right, and send it to the right people, it might be your best marketing campaign yet. Texting can oftentimes seem to be just for kids. With “textspeak”, acronyms, and memes, it can be hard justifying paying for a serious marketing campaign with the SMS world. However, any business that doesn’t try to reach out to customers through SMS marketing is losing a huge chunk of potential growth. Because SMS still holds the position of the communication tool with the highest read rate: 90% of texts are read in 3 minutes. That’s something email has never been able to achieve. Customers these days come from a different a generation, one that grew up with SMS messaging as a big part of their lives. An OpenMarket study actually found that millennials actively prefer businesses that use text messaging. This is because texts are usually short and sweet, and they can be digested in just a moment or two. Traditional companies have been using texts to boost up their customer engagement. At Time Warner, they’ve found that SMS messaging led to a 49% rise in late bill collections. It looks like people are in the market to receive business information from texts. In a world of instant connectivity, messaging creates urgency and provides immediate solutions for networking and shopping. Where more and more people prefer easy-to-use interfaces, having in-app shopping options significantly eliminates the steps taken to make a purchase, and might very well be the element that drives up sales for retailers. Messaging opens you up to two things that other means of promotion don’t have: timelessness and convenience. Our world has come to revolve around instant communication, making instant messaging a necessary part of everyday life. In fact, more and more consumers are expecting customer support through messaging apps than email. 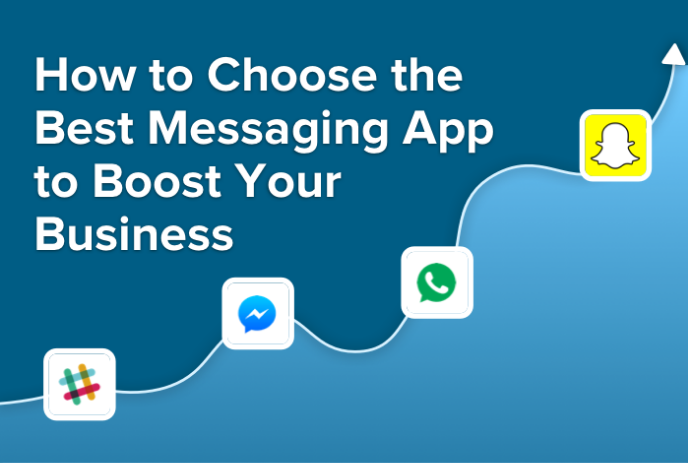 There are other ways that you could use messaging apps to boost your online store’s success, specifically through an improved customer service. Using bots to carry out basic interactions facilitate a better customer experience by having someone (or something) answer their questions whenever they need to. Again, this all boils down to convenience. Instead of picking up your phone to call and talk to someone, it’s much easier to ask your questions through chat. Which Messaging Marketing Campaign Should You Use For Your Store? The truth is, it depends entirely on your target audience and what you feel comfortable doing. If you have all the resources, then the best thing you can do is try out all types of messaging marketing campaigns: messaging apps, emails, and SMS marketing. But you don’t want to stretch yourself too thin; stick to what you can do, and make sure you do it at your best. If you’ve decided to try employing a messaging app, a team from TextMagic have put together this infographic on messaging apps. Check it out for more info. It will help you pick a chat app based on your audience. Anastasia Sviridenko is a content marketing manager at TextMagic. When she's not working, you can find her looking for exciting content marketing case studies, or binge-watching Scandinavian crime dramas.